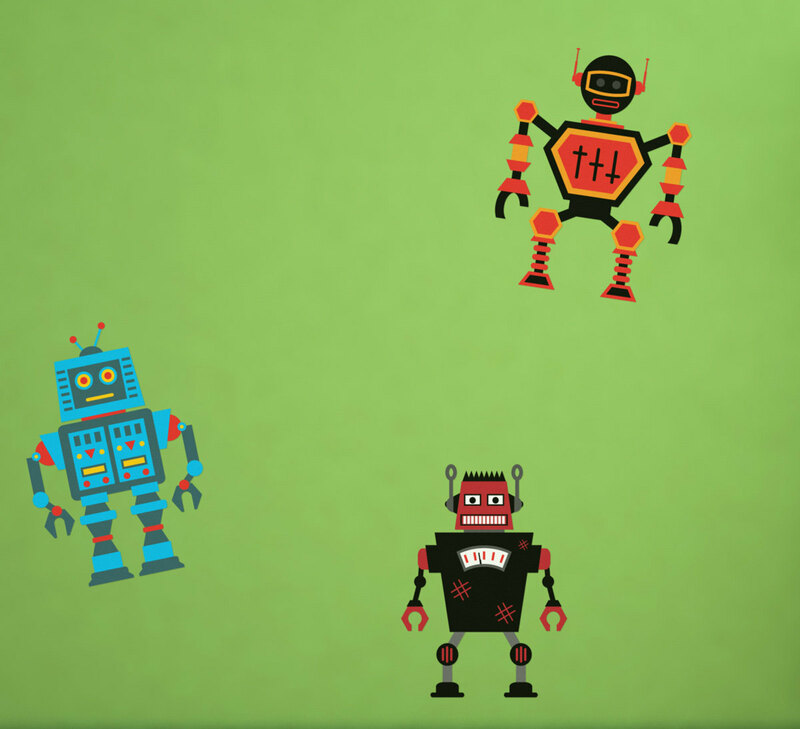 From Star Wars to Skynet, the robot invasion is upon us! And who doesn't love a little heavy metal mechanized mayhem? Resistance is futile! 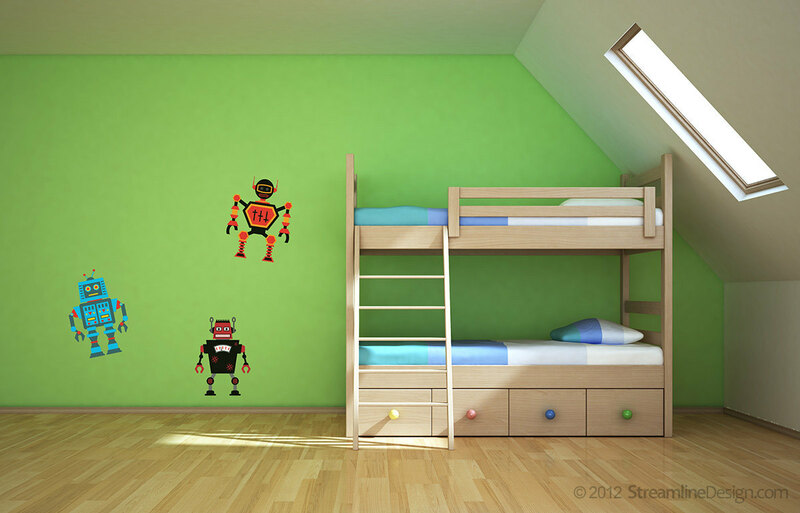 For this sale you get a choice of not one, not two, but THREE crazy cool robots. 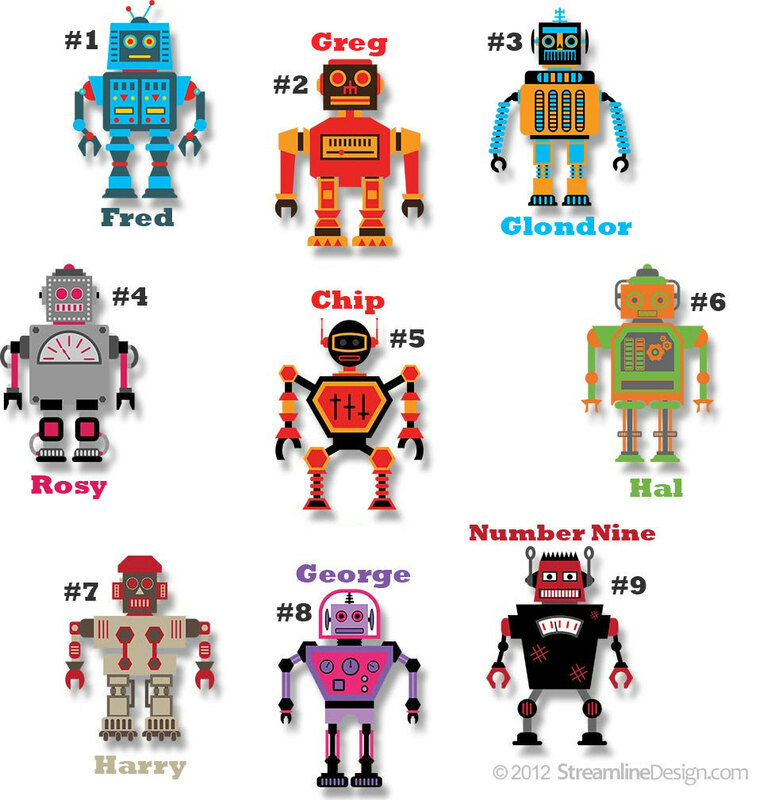 Mix and match between nine different robots. Wall Fabric is easy to remove and reusable. Each robot is approximately 12 inches wide x 16 inches tall. Easy to install. Great for a child's room or play room. 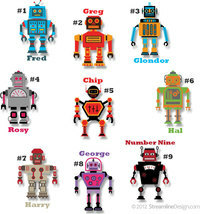 For this item please list in the comment area of the shopping cart (below your item(s): --------------------------------------------------------------------------------------------------------------- • Which three robots you would like (by name or number). Note: Our high quality printed removable wall fabric won't harm the surface or leave a glue residue and won't peel paint on properly prepped, primed and painted surfaces.